The North Bar (Beverley, East Riding of Yorkshire, UK) is a Grade 1 listed, medieval gatehouse or “Bar”. The Bar was constructed in 1409 from locally sourced red brick and features ribbed vaulting and a buttressed façade. The north façade features the coat of arms of the Warton family. 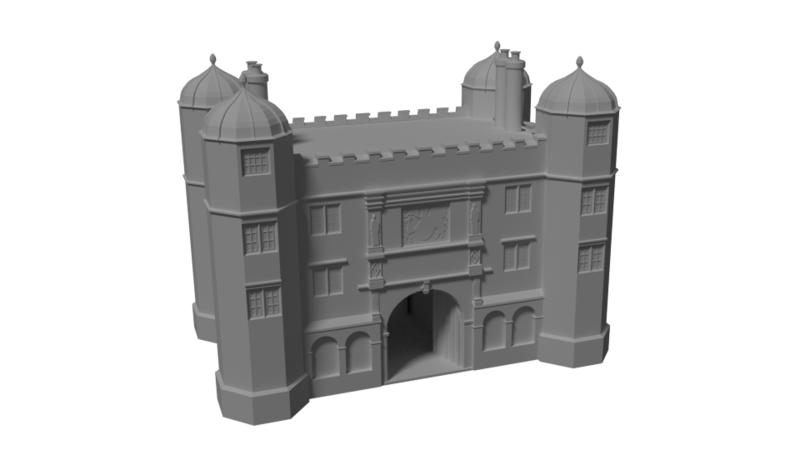 The buildings adjoining the North Bar are intentionally left untextured to distinguish the medieval gatehouse from its surroundings, including the Bar House (17th-century) on the right-hand side of the North view (the default view for this model) . 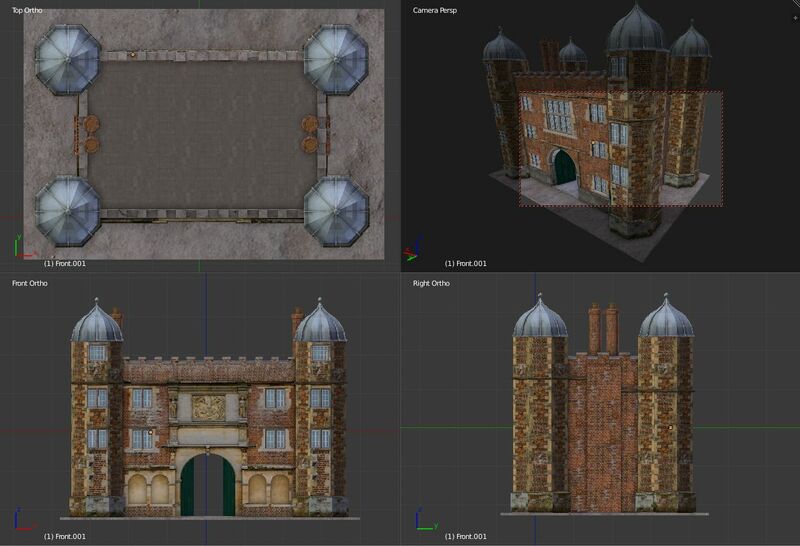 This model was created using polygon modelling in Blender.